Members of Grazioso Choir continue building their musical and vocal ability as they meet each week during the school year. 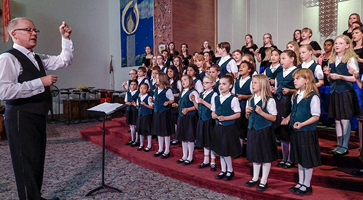 A variety of rehearsal styles and a wide range of choral literature is used to help choristers to build ensemble and to grow in confidence as singers both individually and as a choir. Grazioso prepares for four regular concerts each year and may perform at other community events.